The word is out -- ambulatory practices continue to reap the benefits of adopting integrated EHR platforms. According to the National Coordinator for Health Information Technology, EHR adoption in the medical practice has doubled since 2008. For the remaining practices failing to seek the benefits of EMR, declining reimbursement tied to MACRA will encourage most of these providers to eventually adopt the technology. One bit of good news for the solo or small practice is that Medicare adoption incentives still exist for the office-based physician practice. But perhaps the best news for physicians reluctant to switch is that there are documented benefits in EHR adoption for both patients and providers. This article summarizes the top EHR benefits experienced by an ambulatory practice for their patients and practice when deploying the technology. The benefits of EHRs exist for both the ambulatory practice and the patients themselves. Almost half of all providers give their EHR an eight out of 10 on satisfaction scores. Improved patient treatment across the care continuum. Improved care coordination and faster access to records. Practice efficiencies and cost savings through decreased paperwork and elimination of workflow redundancies. 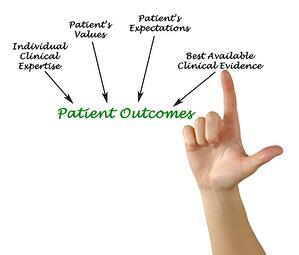 Increase patient participation and transparency. Improved diagnostics and patient outcomes including more accurate prescribing and higher patient satisfaction scores. Harnessing the power of digital technologies in an ambulatory setting will transform the practice by improving the flow of information in an increasingly dispersed healthcare paradigm. One of the benefits of EHR is that this digital transformation has been improving the way we deliver patient care – and how we’re compensated for it. Understanding the specific benefits of EHR in the ambulatory practice requires a shift in thinking about how information is communicated today. Digital technology has transformed how we work and what we do at our leisure. The Internet (a.k.a. cloud) has transformed every industry from government and healthcare to banking, higher education – and everything in between. A recent survey of physicians showed that 75% say the installation of an EHR in the medical practice allowed them to provide better patient care. With EHR platforms, access to patient health records is vastly improved. Providers have access to all the health information they need at the right time to make crucial decisions. Having complete and accurate data aids diagnosis, treatment, and ultimately, patient outcomes and therefore quality scores. Providers also experience a reduction in medical errors and improved outcomes. The technology not only stores the full patient record, but can also alert physicians to medication interactions or allergies. These clinical alerts help physicians decrease risk of medical malpractice in an ambulatory setting. The majority of patients today are digitally savvy. As baby boomers are replaced by millennials in ambulatory practices, this trend will only increase. Patients report the transition to electronic medical records in the medical practice to be a desirable outcome, allowing a self-service component and measure of control over their health. Patients can access test results or self-care information, schedule appointments, or even communicate with clinical teams. This improves communication and engagement between the ambulatory practice and the patient, which is a desired outcome for both patient and provider. Better availability of patient information can reduce medical errors and unnecessary tests. Better availability of information can also reduce the chance that one specialist will not know about an unrelated (but relevant) condition being managed by another specialist. Better care coordination can lead to better quality of care and improved patient outcomes. Errors are reduced with an EHR. One simple benefit of an EMR is that patient notes become more legible. Patient care can also improve when real-time record keeping is introduced in an ambulatory setting. This will positively affect quality scores, and ultimately, reimbursement. Communication about treatment details between all the disparate points of the healthcare delivery system is always improved with an EHR. Tracking treatment from multiple providers across disparate systems is more efficient thereby improving diagnostics and patient outcomes. Just as importantly, patient communication will be improved, along with their participation via interactive portals when they can access treatment details or healthcare instructions. These communication hubs can help with population health initiatives like improving proactive education for diabetic patients. Increased practice efficiencies and cost savings. In addition to reducing claims denial, EMRs provide a faster way to communicate test results, less paperwork, and even meaningful use financial incentives to help providers explore the benefits of EMR. It’s safe to say that most physicians’ today struggle under this added burden of reporting, both for compliance as well as reimbursement. But the best benefits of EMR include faster transmission of data and increased accuracy in reporting. These intuitive systems help clinical teams complete and transmit paperwork faster, improving workflows from patient copay collection at the front desk to billing and reimbursement on the backend of the practice. While many practices are concerned about the prices associated with these systems, the benefits of an EHR far outweigh the costs. A study from gov showed that 74% of the physicians surveyed cited one of the biggest benefits of EHR is that these platforms enhanced patient care. This benefit has the potential to help doctors with patient quality outcomes under MACRA. While the benefits of an improved revenue cycle ensure that an EMR will pay for itself, a bigger benefit of EMRs exists within the concept of reporting as a clinical function. Dumping an outdated paper charting system is an administrative and clinical imperative. While key benefits of EHR adoption fall under the physician “must-have” category, the studies show that there are real EMR benefits for patients in the ambulatory practice setting. The decision-making support tools found in clinical technology systems like EMRs keep patients safer by making clinical decisions more accurate. EHRs are best at “enabling safer, more reliable prescribing.” This is crucially important in a healthcare paradigm where the third leading cause of death stems from medical mistakes. But patients also suggested that one of the top benefits of EHR technology is that they are able to access their healthcare information online. Studies show that the convenience of logging in to access test results, order medication, and make appointments, has been given two thumbs up by patients. 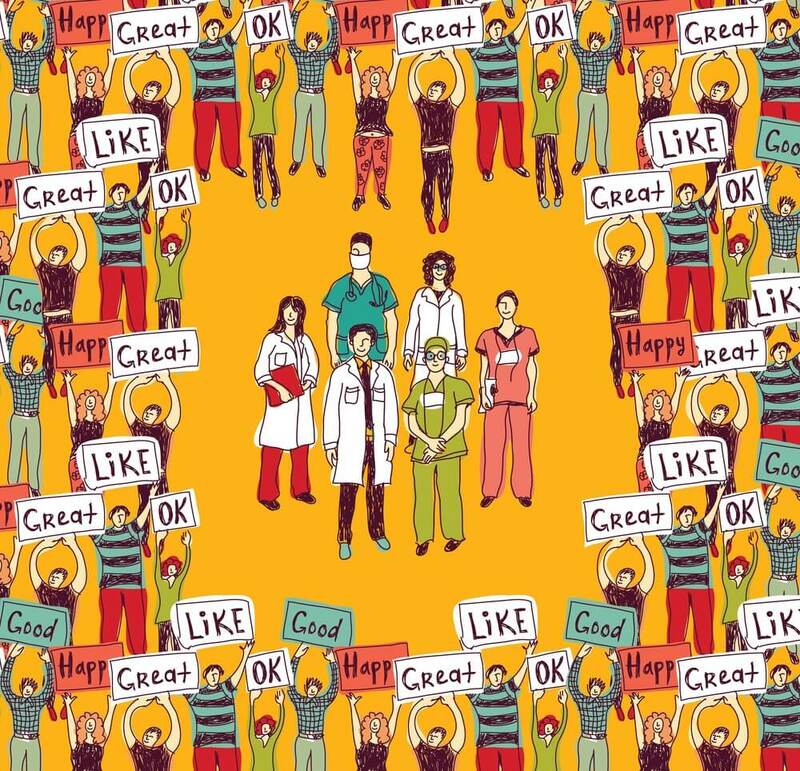 78% surveyed suggested they were happy with their doctors. For the practices that did not offer service via an integrated EHR platform, patient surveys fall to 68%. With payers beginning to link patient satisfaction to reimbursement, these surveys clearly illustrate the benefits of EHRs from the patient – and the physician’s perspectives. Today’s time-starved patients do not want to take the time to replicate the same data across forms. One EHR benefit is the streamlining of plugging in of the same data in multiple places. Online patient portals allowing appointment scheduling appointment or find out test results from any location where there is a digital signal. This data can also easily be accessed from any smartphone. PHI can easily be transmitted between providers without hand-copying files and carrying records to and from each specialist they visit. The benefits of integrated EHR allow data to flow between providers seamlessly. while improving the speed and accuracy of test results, along with access to immediate, real-time scheduling. EHRs can improve the accuracy and efficiency of their medical billing. Data can travel more quickly between their insurance carrier and the physician. When physicians do not have access to prior data, they often repeat testing, which is a huge waste of time and money. This is especially important if the test is invasive, causing unnecessary discomfort for the patient. e-prescribing, has completely eliminated the time spent calling in an RX. While patients streamlined communications between their physician office and the pharmacy, they don’t realize that electronic prescriptions also have the potential to save lives. There is an old joke that a physician has the worst handwriting in the world. However, that scratchy penmanship has been the cause of prescription mistakes between the provider and the pharmacist. An EHR can eliminate this potential risk. For the practice that lacks an EHR, patients must shuffle through copies of paper charting, and sit on hold while waiting to schedule appointments. Instead, the benefit of an EMR allows these patients the always-on access of the digital landscape, in user-friendly digital portals. Patients say they appreciate the convenience and accessibility of tools like online scheduling and office communication. 75% of doctors believe one key benefit from EHR technology includes better patient care delivery. 88% of polled doctors suggest an EMR yields real clinical benefit for their practice. 94% said easy access to records at the point of care was a clear benefit of EHR software. The onset of digital technology in the healthcare space has done more than improve revenue cycle and patient care. These systems have been capturing a plethora of patient data, which can ultimately be used to improve patient outcomes. To put it concisely: Digitization improves research and ultimately clinical outcomes. Could the data from an EMR potentially change a clinical procedure and save a life one day? The answer is that these technologies already have. What does the Future State of Healthcare Look Like? Over the past 10 years, companies have invested heavily in computer software and hardware. Information technology has moved from a back office function to its current place in our daily interactions with social media, cellphones, and all the tools we use to complete work in every field around the world. Healthcare has been forced to evolve with these trends; albeit sometimes reluctantly. Thanks in part to societal pressures, along with the HITECH Act, health systems, hospitals, and ambulatory practices have evolved their workflows to embrace adoption of EMR platforms. The majority of patients today are also digitally savvy; as baby boomers are replaced by millennials in the ambulatory practice, this trend will only increase. Patients report the transition to electronic medical records in the medical practice is a desirable outcome, allowing a self-service component and measure of control over their health. From the perspective of the ambulatory physician, an EMR is just one way to improve revenue cycle while reducing the risk of medical mistakes. The tool can save money in the small practice by automating basic tasks, allowing clinical teams to spend more time on what they were really meant to do – provide clinical care and caring in the medical practice. From a broader perspective, it can be said that the electronic medical record has been improving the delivery of care in a clinical setting. A big-picture benefit of EHR platforms is that they are creating a comprehensive interoperable patient narrative across a dispersed health system delivery network. These tools now allow clinical providers to practice “precision medicine,” improving the quality of care while reducing medical mistakes. The truth is, while there always will be EHR benefits and challenges, overcoming them will always be worth it. Fortunately for the small to mid-sized ambulatory medical practice, small EMR vendors like RevenueXL have provided more affordable alternatives to the behemoth EMR vendors making headlines every day. RevenueXL was founded in 2005 to provide small practices with the same sophisticated tools big hospitals and health systems use – for a fraction of the cost. We see ourselves as a valued partner in your practice. You are surrounded by countless opportunities to improve how healthcare is delivered to your patients, and how your practice generates revenue. This partnership and our gold-standard commitment to supporting you ensure that you’re truly prepared for what lies ahead. To find out more about moving from paper-based care coordination to a streamlined electronic option, contact RevenueXL.